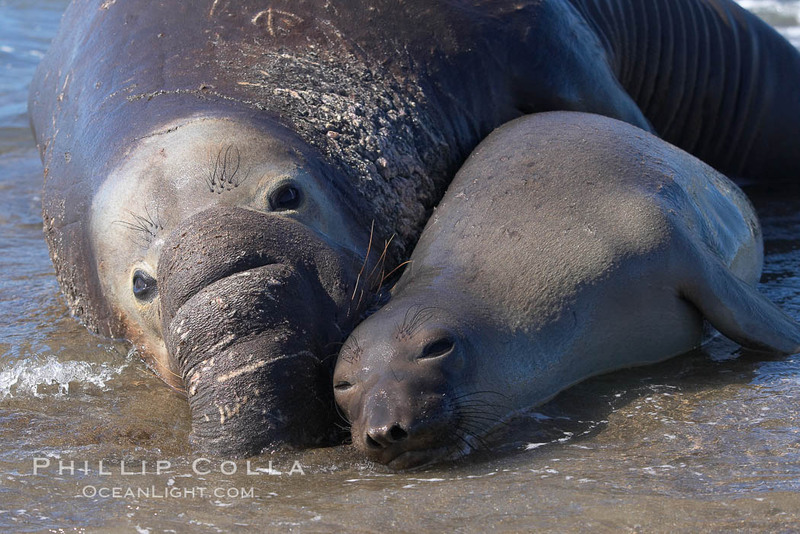 Elephant seals (Mirounga angustirostris) showing extreme sexual dimorphism (difference between sexes). Male elephant seals can be 3-4 times as massive as females. Central California.